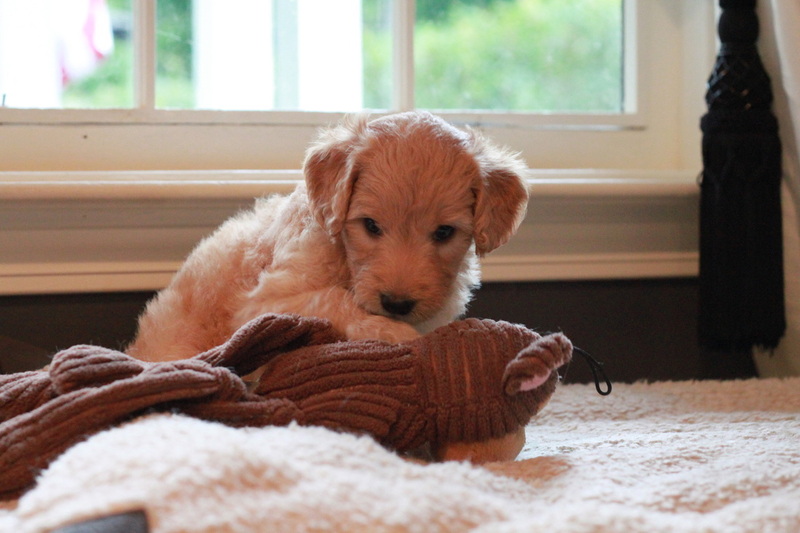 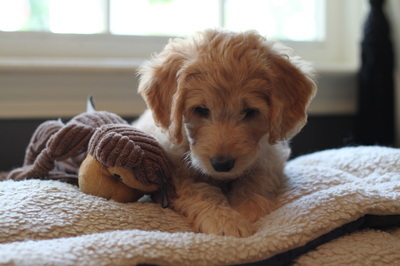 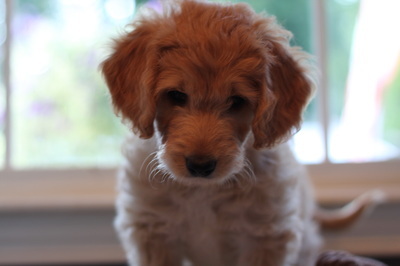 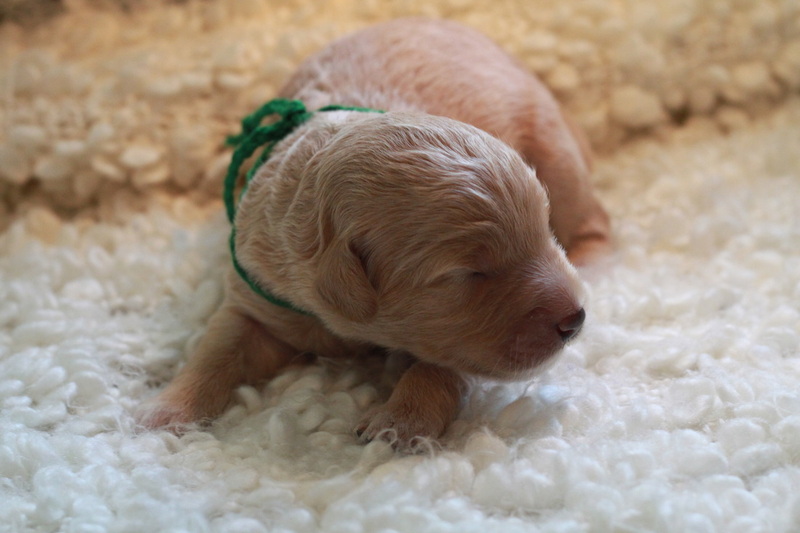 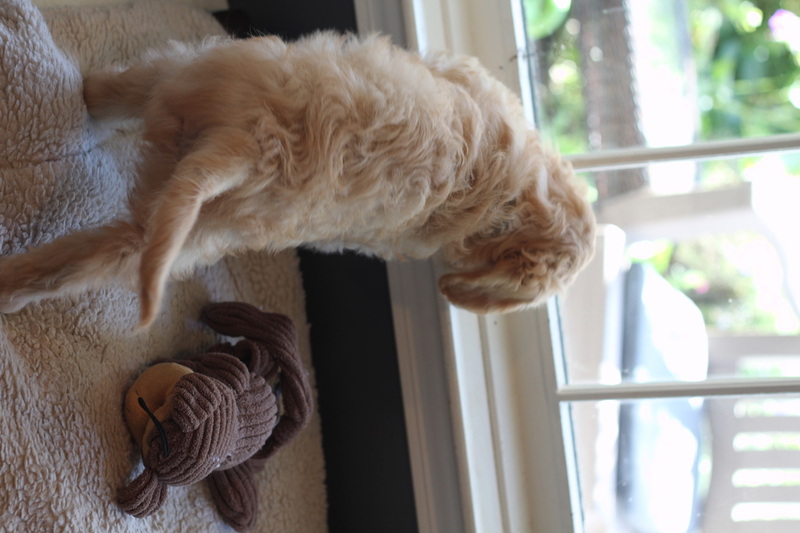 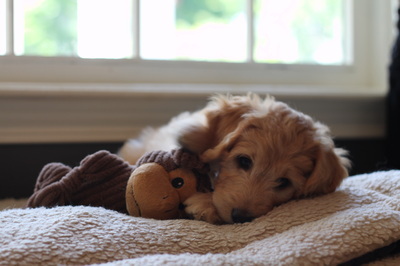 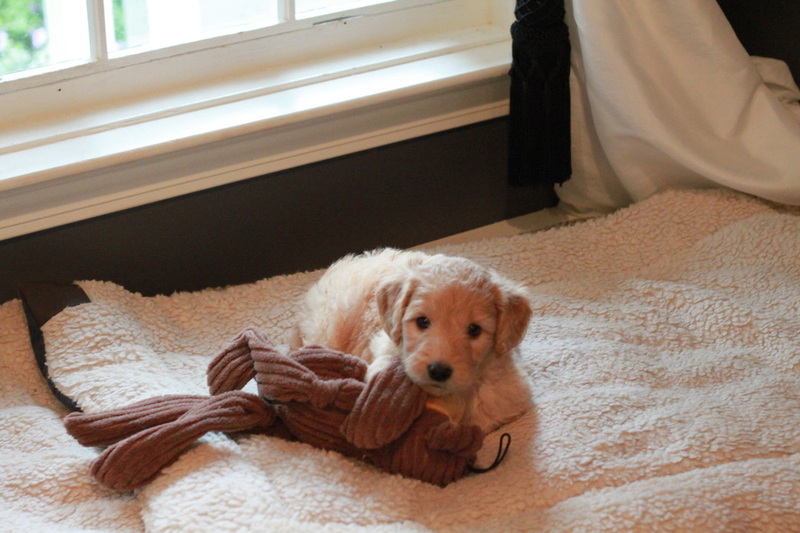 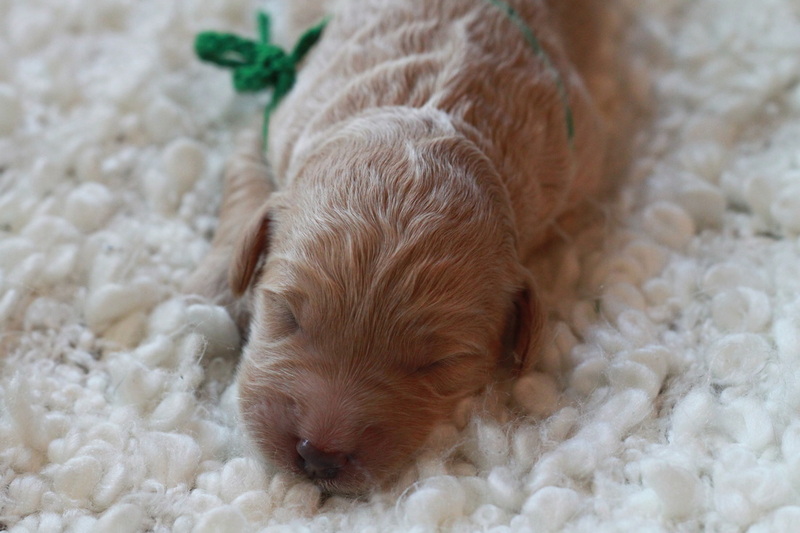 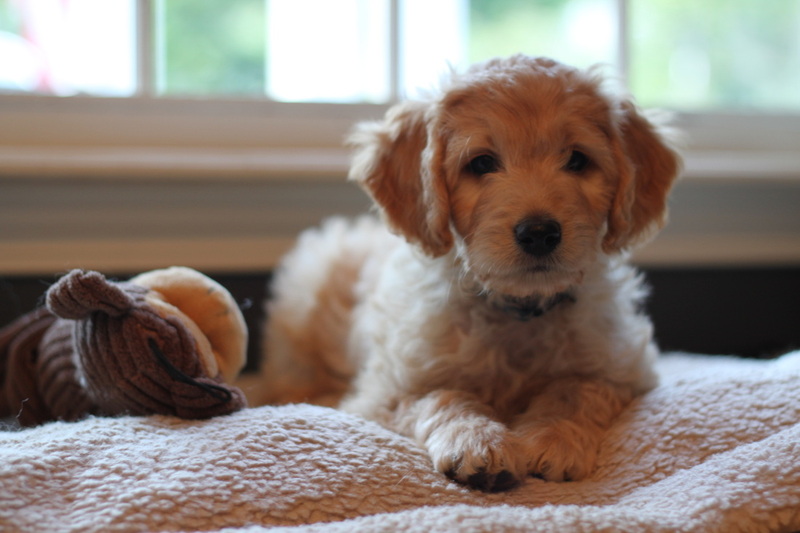 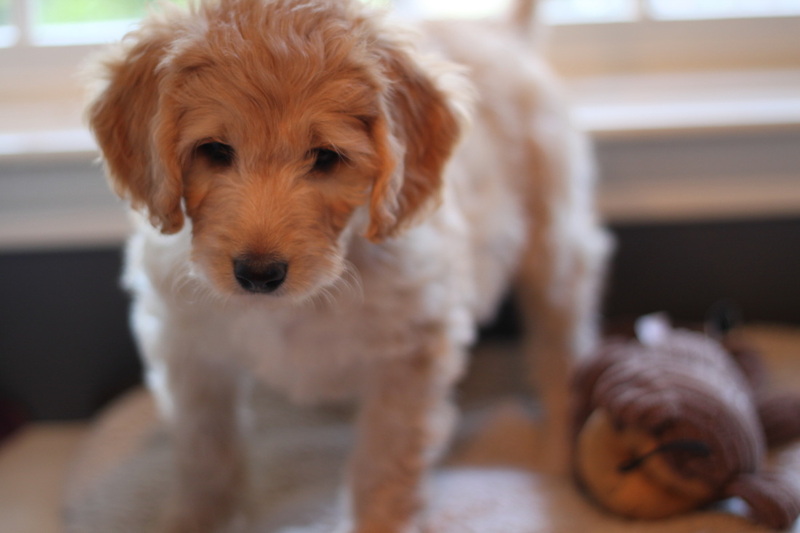 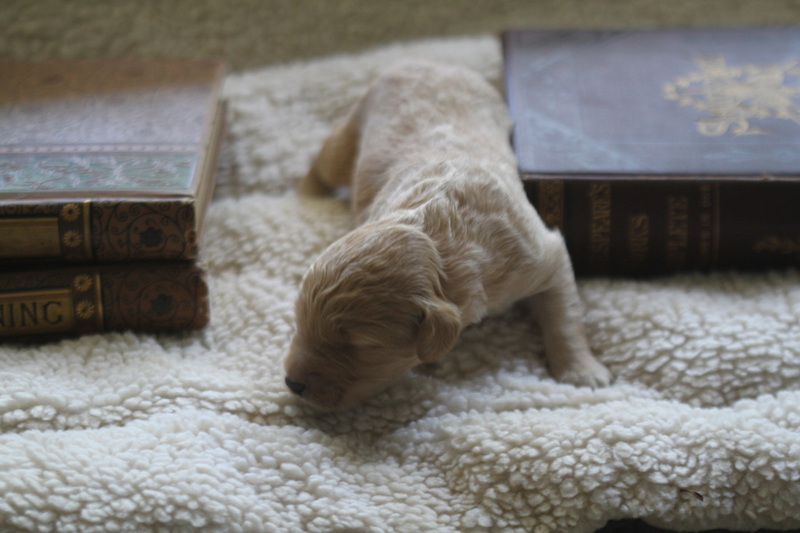 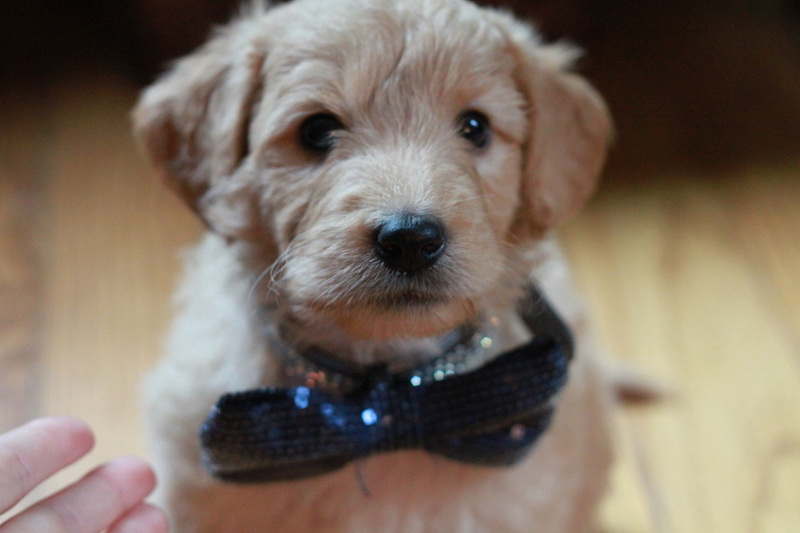 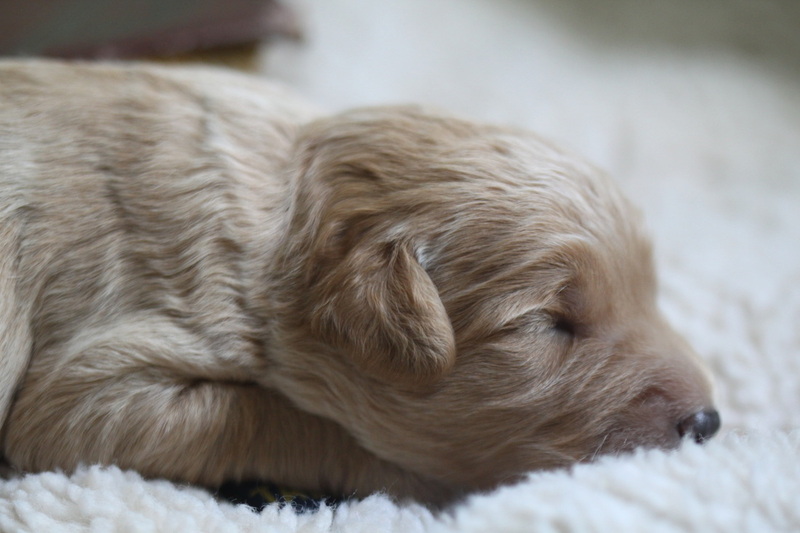 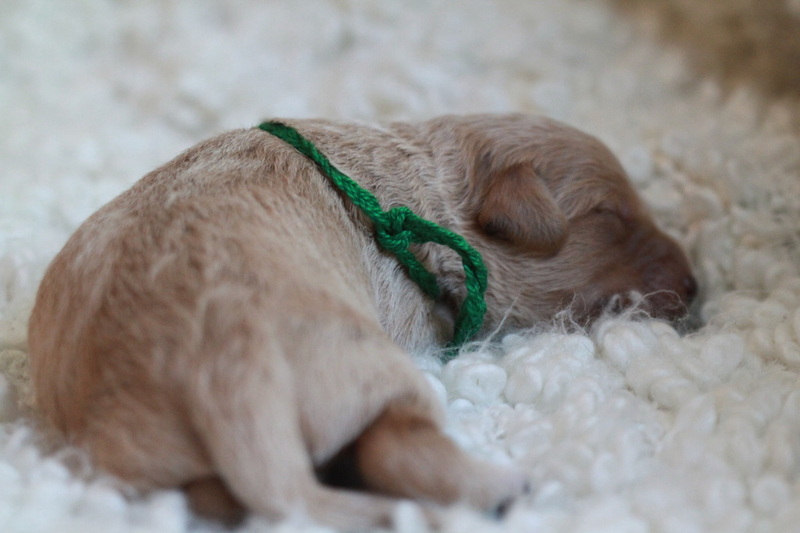 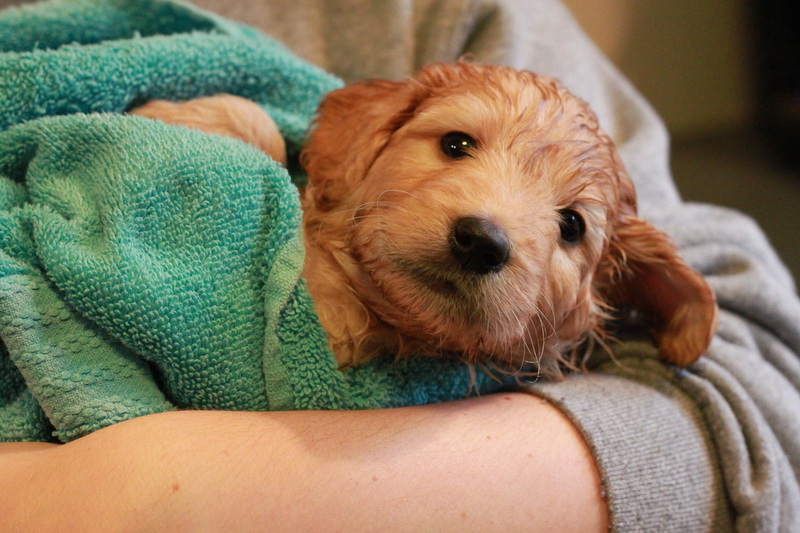 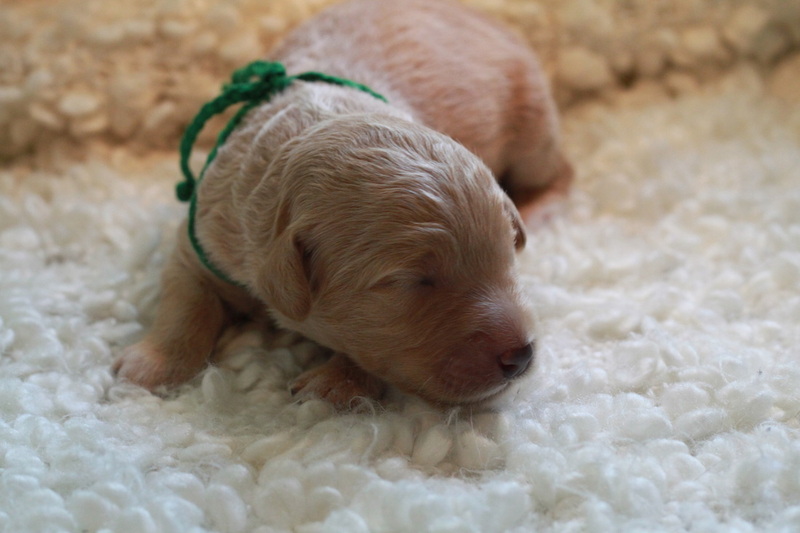 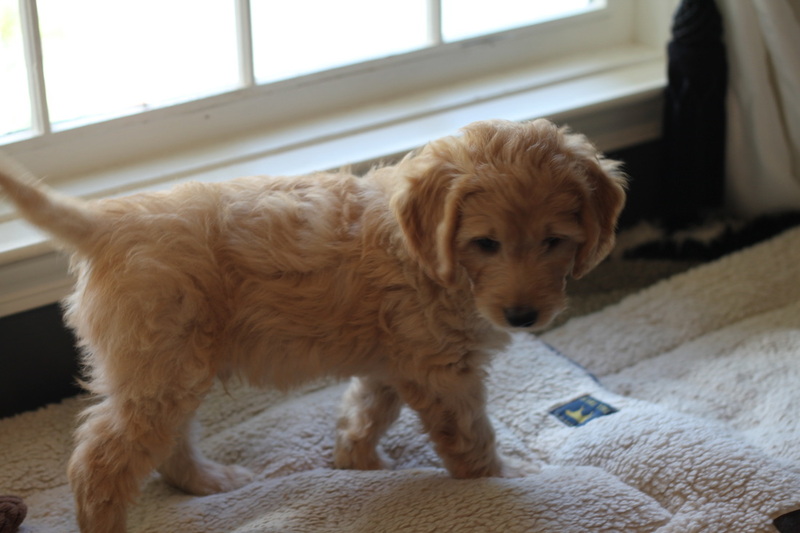 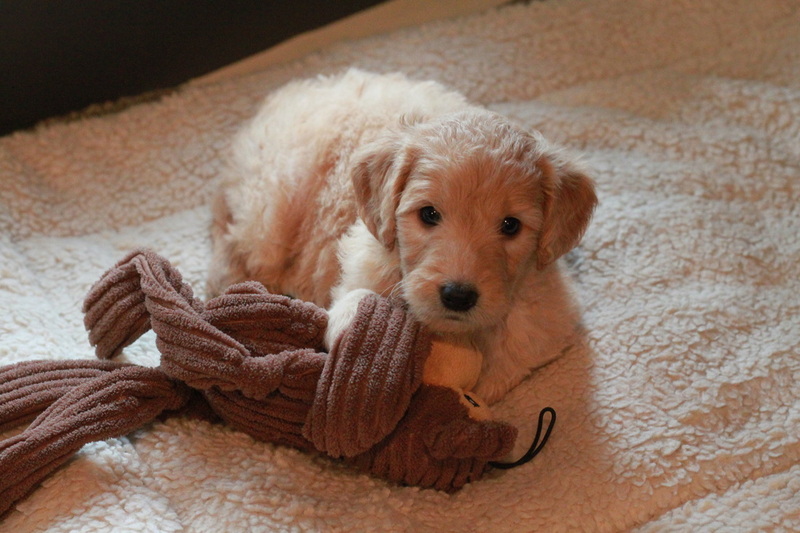 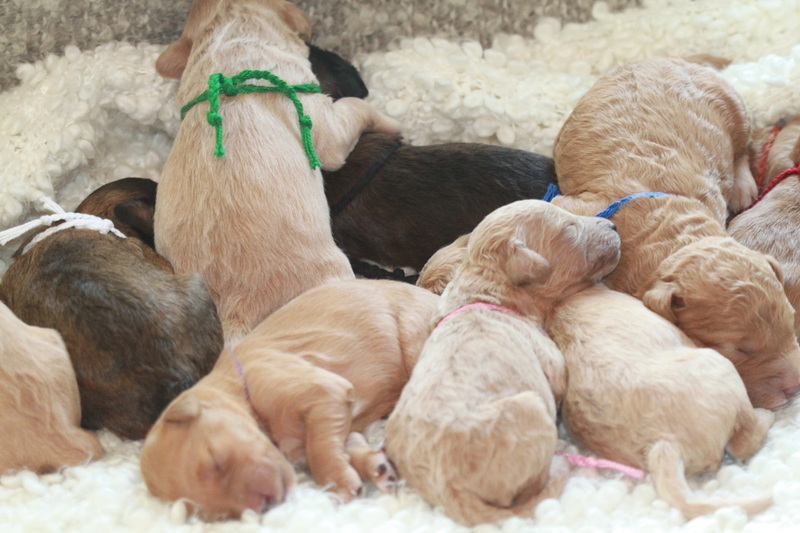 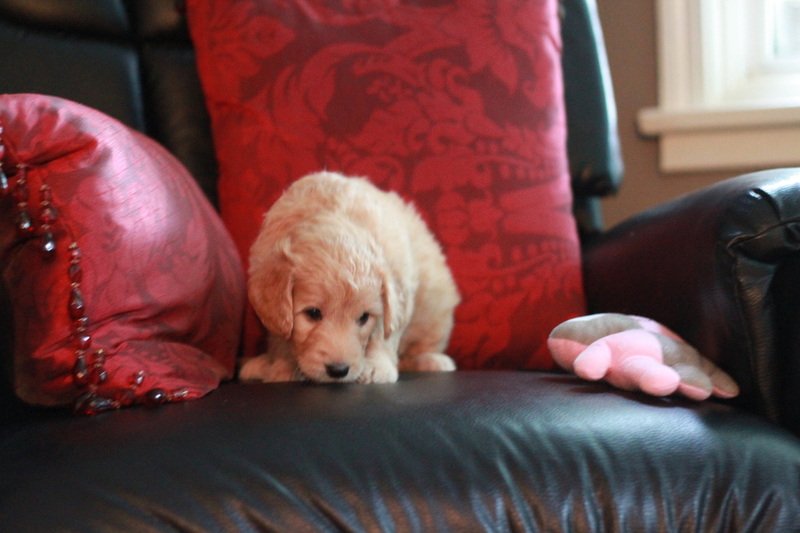 Goldendoodle Puppy - Green Collar Boy - "Bass"
Bass is a gold/cream colored Goldendoodle puppy that was born on June 26, 2014 by our Jada of River Valley Doodles. 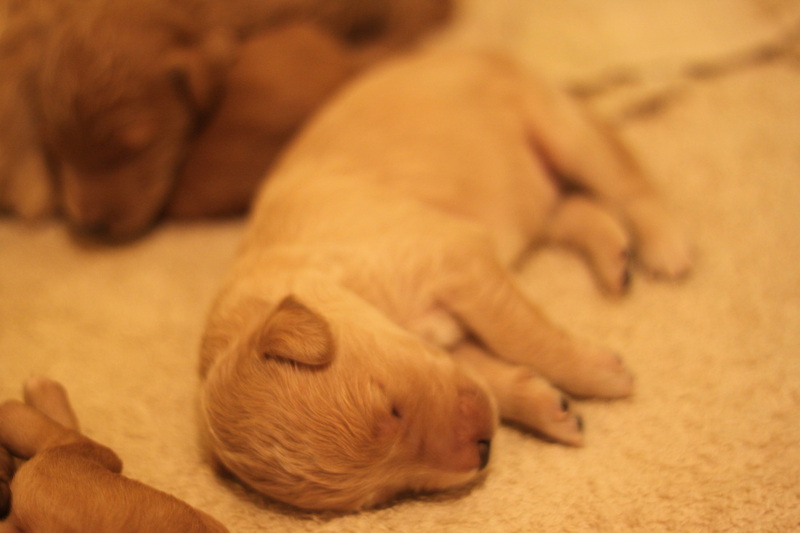 He is one of the biggest of the litter. 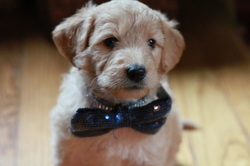 He is going to a friendly family in NY and they are excited to welcome him. 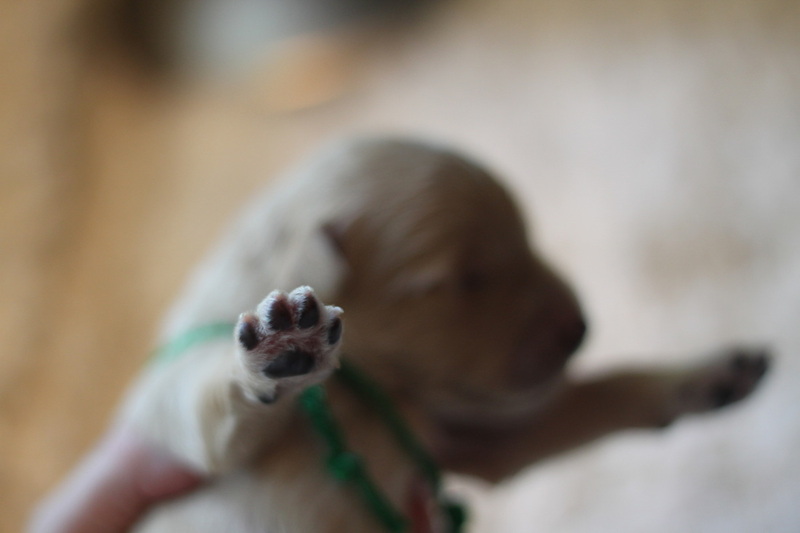 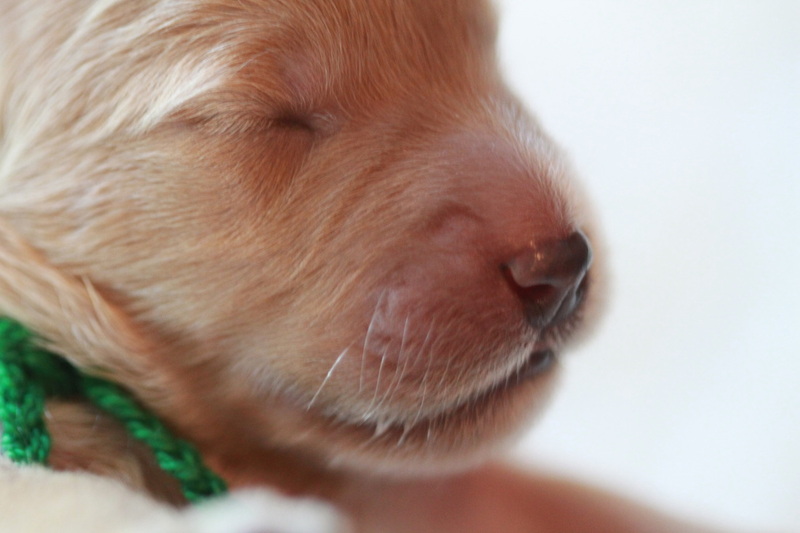 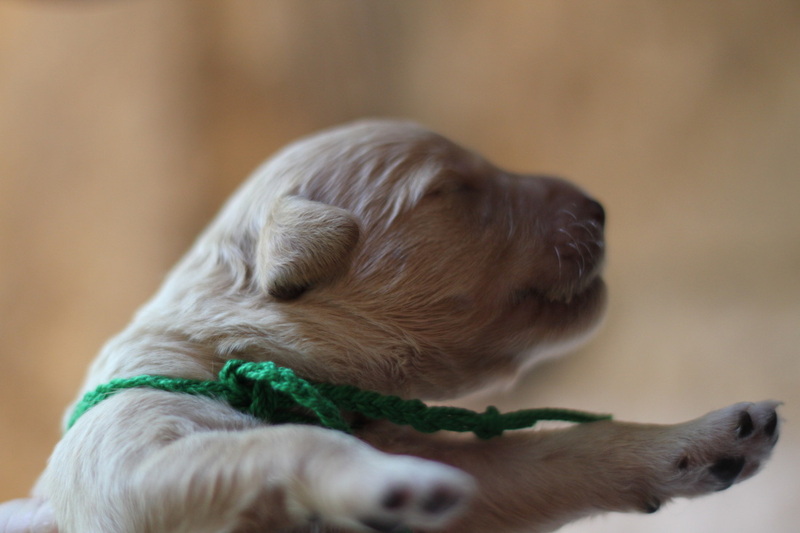 Bass, Green Collar Boy, at 5 days old.